What is the New Zealand Horticentre Trust? 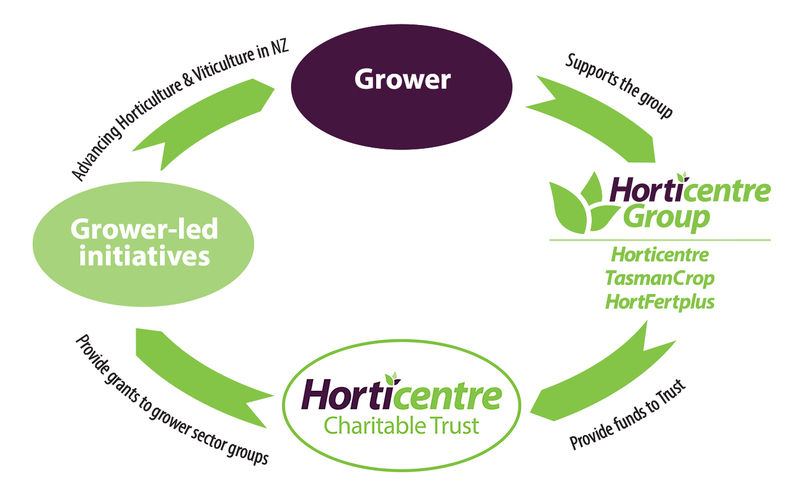 The New Zealand Horticentre Trust is a Charitable Trust that was established in 2008 with the objective of providing “a helping hand for the horticulture and viticulture sectors”. The Horticentre Charitable Trust supports these sector groups and growers alike in the promotion of education, training, research & development, grower welfare and disaster relief. How is the New Zealand Horticentre Trust funded? Provide the NZ Horticentre Trust with an income stream that is used to fund grower initiatives that benefit horticulture and viticulture across New Zealand. Provide quality products and technical advice that creates the opportunity for the grower to achieve a better crop result. What can I do to help funding streams available for horticulture and viticulture in New Zealand? Your support of Horticentre, TasmanCrop and HortFertplus will enable these horticulture and viticulture supply companies to commit ongoing funds to the New Zealand Charitable Trust. Horticulture and viticulture sectors groups / growers can apply to the Trust for grants to support their initiatives. Please note all applications are carefully considered by the trustees of the NZ Horticentre Trust and they must benefit New Zealand Horticulture and Viticulture. Click here to download a Horticentre Charitable Trust Grant application form.